Wormsloe Plantation Engagement Session just outside of Downtown Savannah, Georgia. The gorgeous oak trees lining the drive in are well known to locals and visitors. 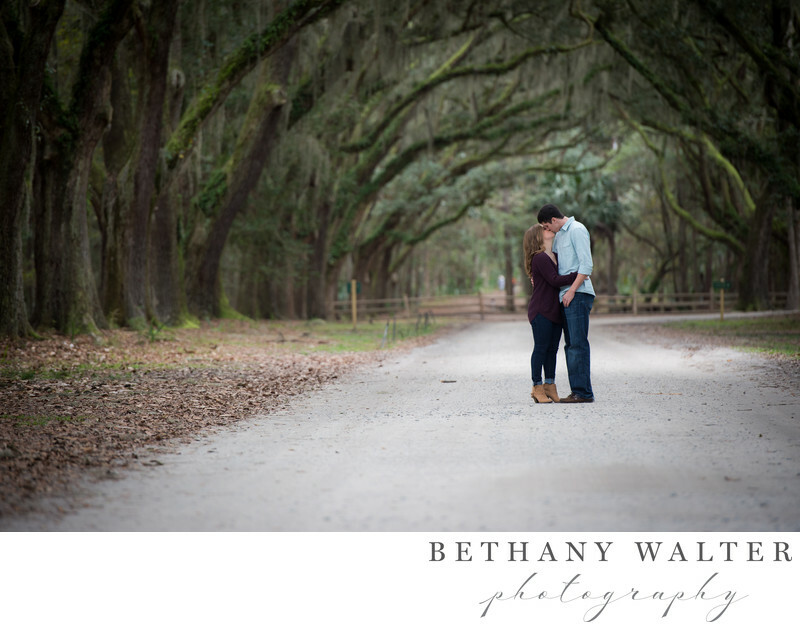 This bride and groom-to-be stole a kiss under the old oak trees! Location: 7601 Skidaway Rd, Savannah, Georgia.